I had the opportunity to visit with the City of San Francisco as a part of a delegation from Zurich. Very impressive how San Francisco deals with tight budgets, constant growth and the need to specialize. 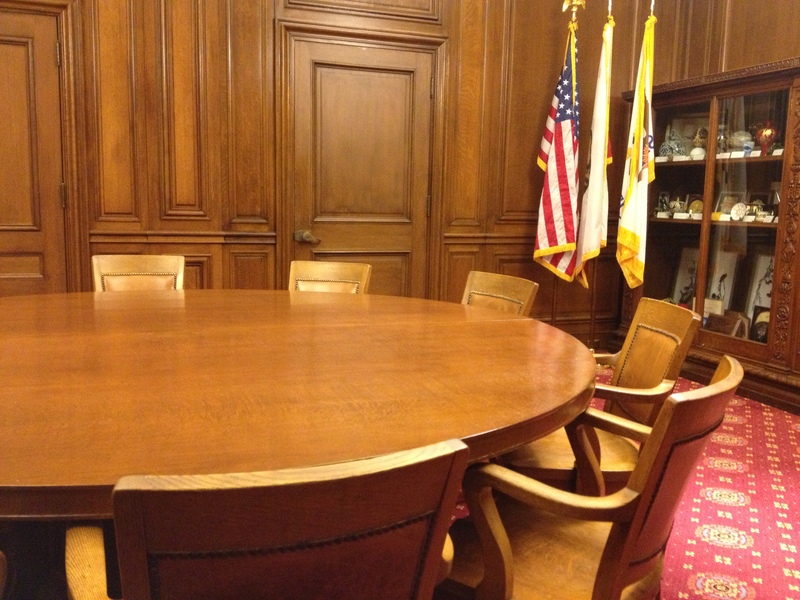 There is much more to the management of this city than this impressive meeting table and door leading to the mayor’s office….. Zurich and San Francisco have been sister cities for more than 10 years and I am representing the startup community on the committee. And, interestingely, both San Francisco and New York city managements seem to have a thing with very massive wooden tables!